Join computer enthusiasts to talk about programming, operating systems, computer security topics, hacking and geek culture. Take Post Oak South past Westheimer. On your left is a parking garage. Turn left into the first entrance to the parking garage. Inside the parking garage, you will take a right and go up to the second floor. At the top of the building, turn left, and then turn left again, to follow the perimeter of the building. Signs will indicate you are heading to Nordstroms. Park near the elevators, and go inside. About 10m inside and to your right is Ninfa’s Express. You want the sit-down area, which is closer to the door than the takeout that faces into the mall. Coordinates to parking garage: N 29 44.163 W 95 27.758. 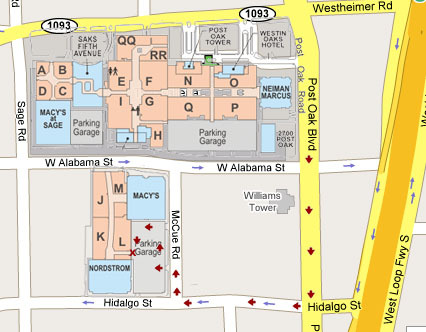 After the meeting, HAQR will meet at Agora Coffee at 1712 Westheimer Houston, TX 77098-1612. The American Nihilist Underground Society spreads nihilism through design, art, pranks, and hacking. Its technology arm, the Houston Area Quorum for Recidivism (HAQR), encourage learning philosophical frameworks through design-oriented thinking. 2600 connects people with technology in unorthodox ways. An organization for hackers, it has branched into the hobby of thinking like a hacker to use technology beyond its stated categorical purpose to achieve exceptional results.